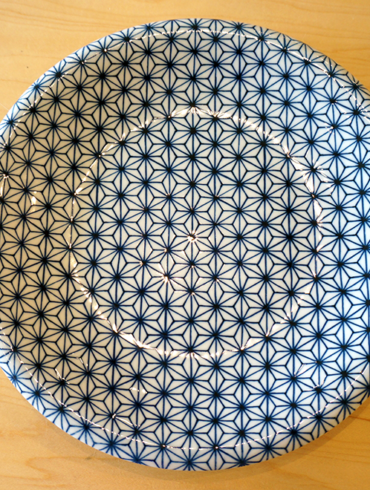 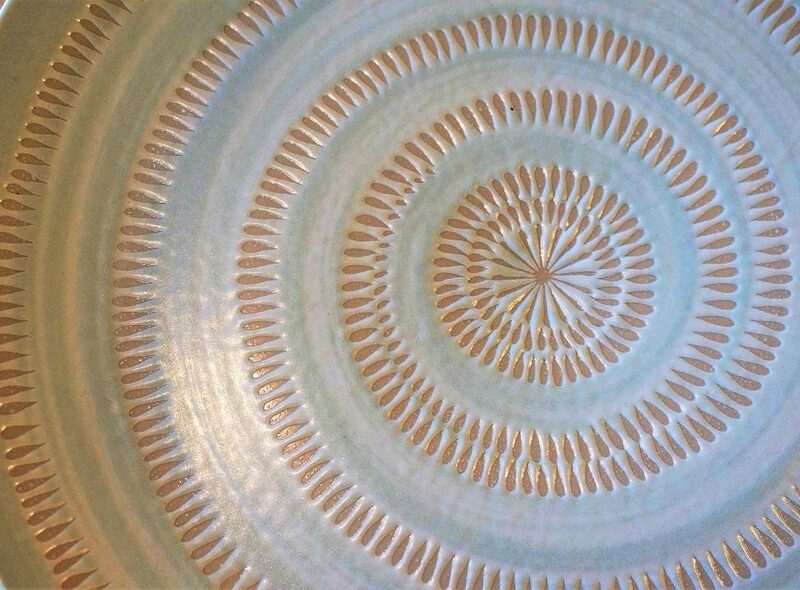 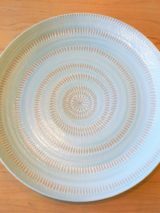 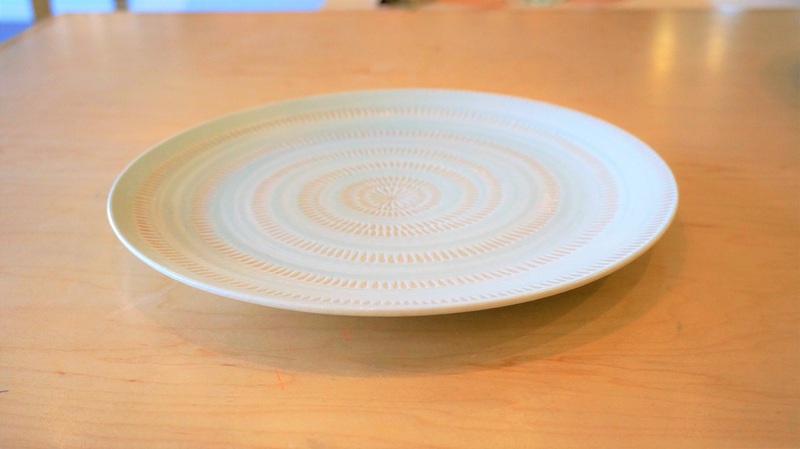 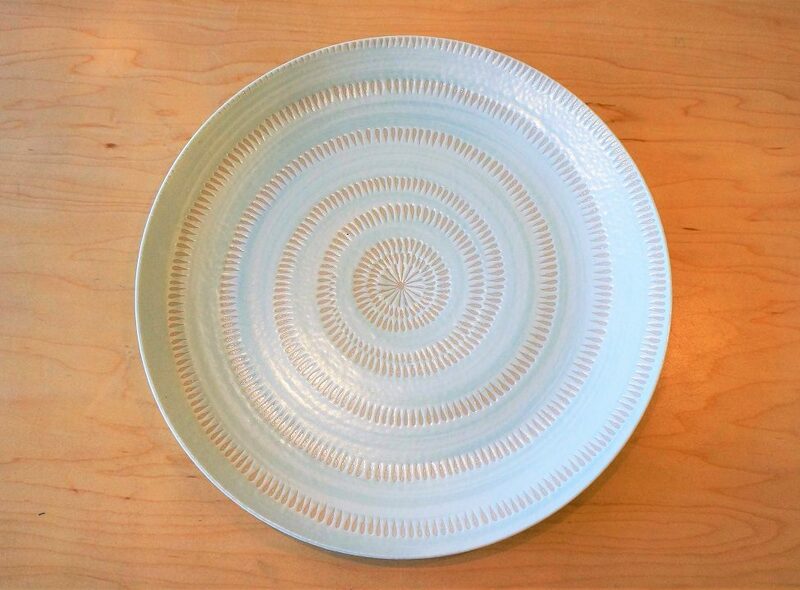 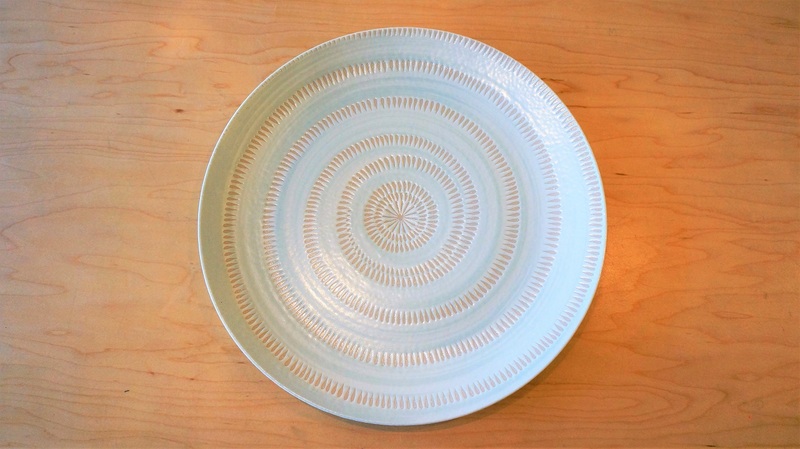 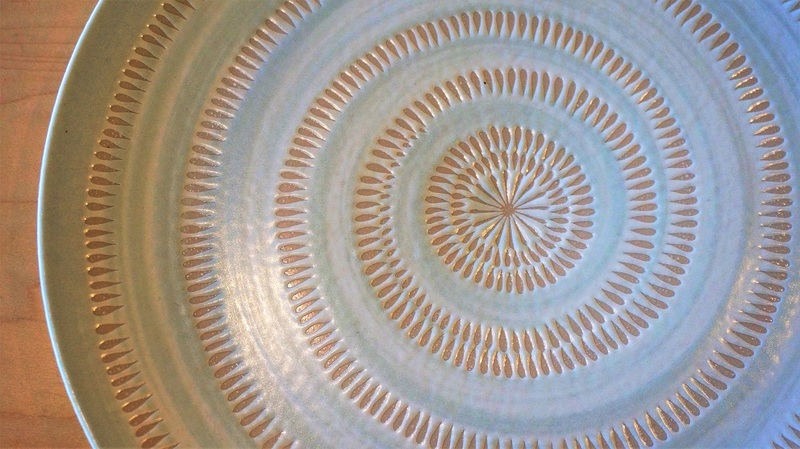 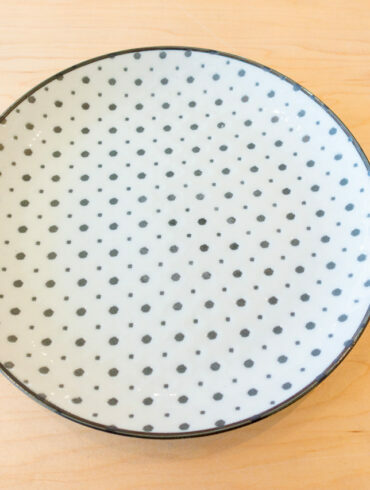 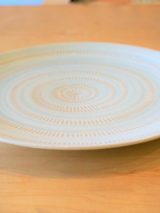 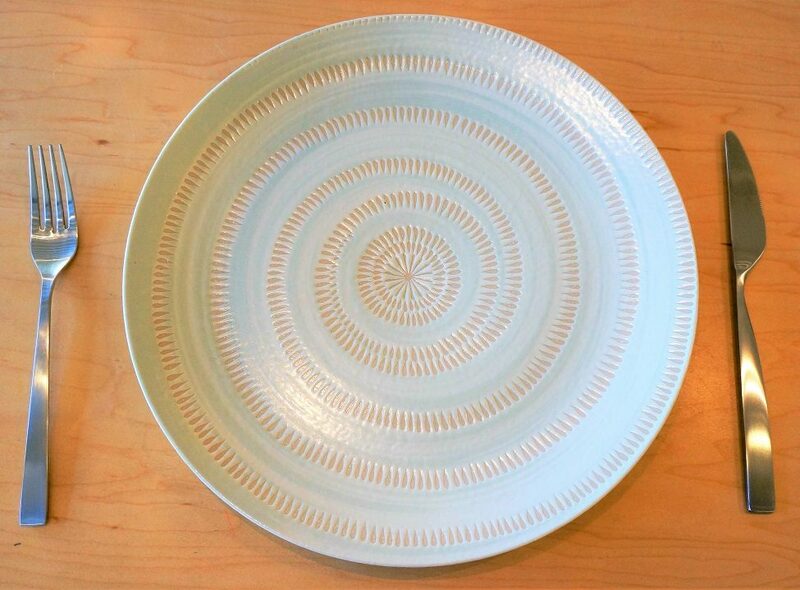 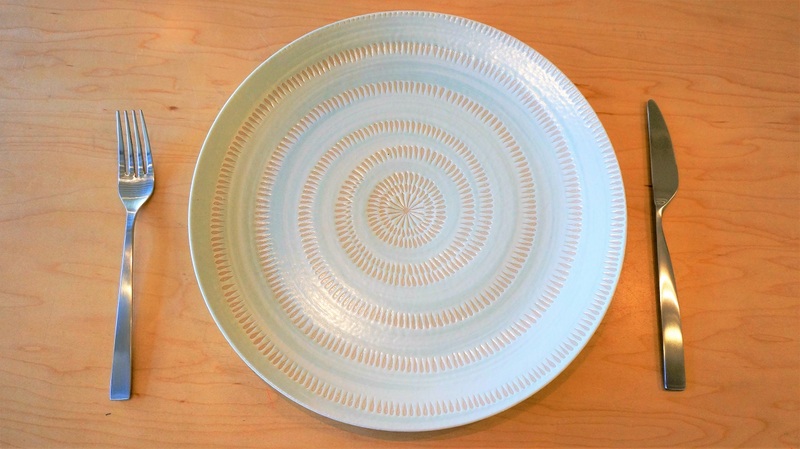 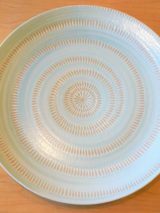 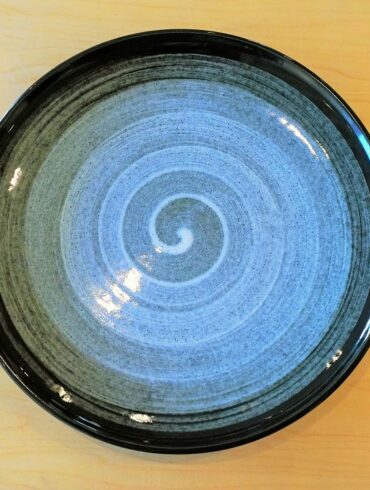 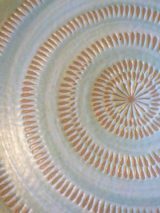 White tobi-kanna design textured dinner plate. 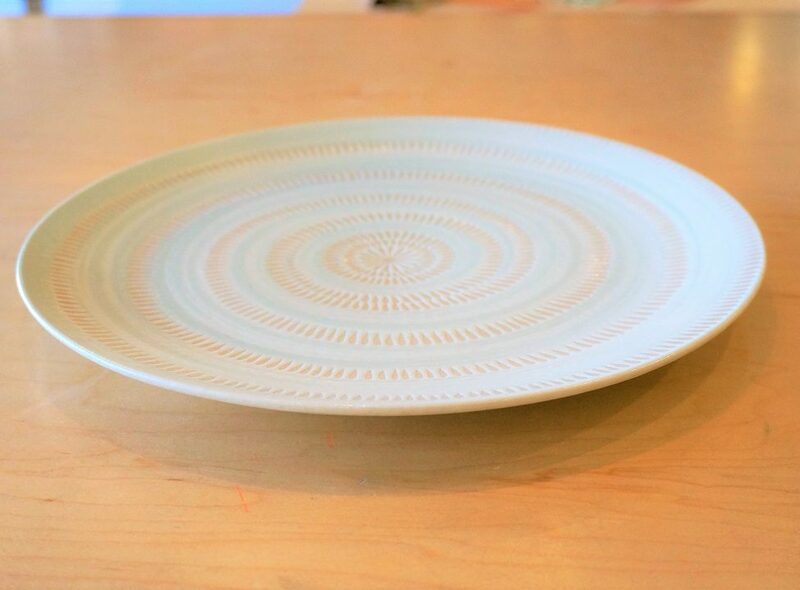 11 1/2 inch plate is big enough to serve a large steak with side dishes. 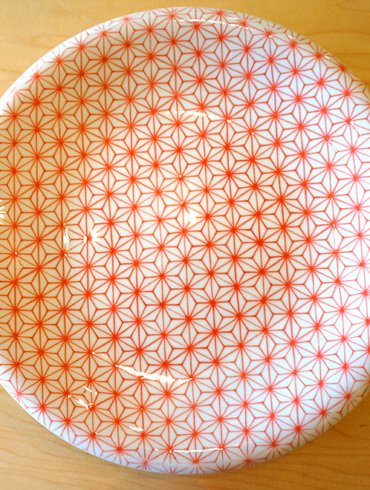 Made in Japan high quality plate.